If your PC is running slower than it should, it could be the usual suspects, like background programs or viruses. Or it could be file fragmentation, which means that your files are scattered all over your hard disk in a chaotic manner. This is such a major (and common) performance hit, Windows comes with its own disk defragmenter. Before we explain exactly what fragmentation is and how to fix it, let’s be sure it really applies to you. Only traditional, mechanical drives suffer from fragmentation and the slowdown it occurs – newer SSDs aren’t affected. How do I check if I’ve got an SSD or an HDD? A great majority of the world’s PC users still rely on mechanical disks. Despite the push by manufacturers to replace the old clunky HDDs with SSDs, around two-thirds of new PCs sold this year will still use the older technology. So unless you’ve got a state-of-the-art machine, you probably have one of these older devices. To verify this, fire up the built-in defrag tool: open the Windows Start menu, type in Defrag and hit the Enter key. If it says Solid state drive under Media type, then this article isn’t for you. If it says Hard disk drive, time to defrag. You uninstall an office suite on your machine. This leaves a gap on your drive. Now you install a huge video editing suite which takes up more space than the office suite. Windows now tries to put the files in the gap. But they don’t fit. So it splits the video editing software into parts. The hard disk now needs more time to collect the data needed to start the program and use functions, as it is not all in one spot. And this is just one program and one set of actions. Your operating system and the applications you use on a regular basis mean you and your PC are repeating this procedure thousands of times EVERY DAY. Even when you’re just browsing the Web or receiving e-mails, your hard disk becomes progressively fragmented, weakening performance. The slowdown effect is related to how many files are being accessed at the same time. Also, your hard disk is mechanical and therefore the weakest link in the chain. Your processor, main memory, and motherboard all have to wait until data is read by the slow mechanical hard disk. This is where defragmentation comes in. The process puts the scattered file fragments back together, thereby accelerating the system. Back then it really did make a difference when launching DOS, Windows 3.1 and various applications. The representation above shows “clusters” of a hard disk being reordered and put together coherently. Today, Windows 10s Defrag is more efficient and automatically defrags your hard disk. But it is rather basic. So I suggest individual users go with a third-party defragmenter. 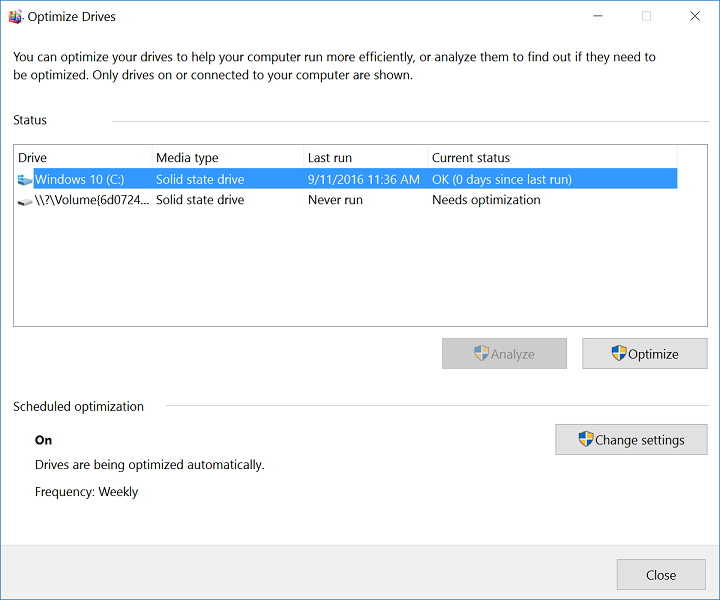 For those of you with AVG PC TuneUp suite, use the “Drive Defrag”. Unlike Windows, it makes sure that free disk space is laid out in a contiguous manner and puts important files at the beginning of the hard disk, where read/write operations are generally a tad faster. 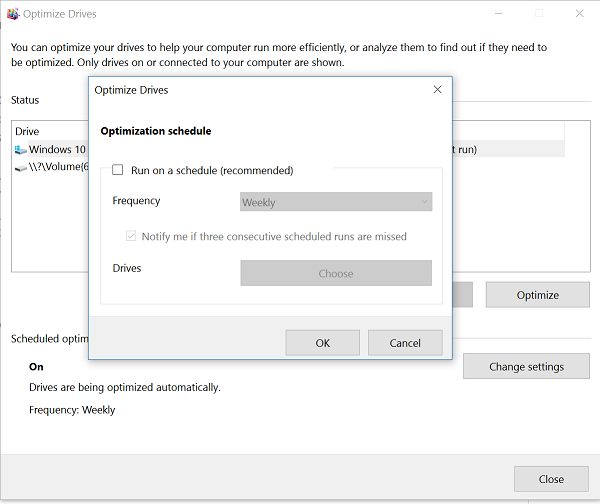 Administrators might want to check out O&O Defrag 19.5, which offers a variety of options, including one that optimizes server hard disks and one that is optimized for workstation use. Click on the start button and type in defrag. Then click on the Disk Defragmenter entry; hit Continue. To defrag your disk: hit the Optimize button. To run a third-party tool, repeat Step 1, then click on Change settings and uncheck Run on a schedule. After that, run your defrag tool according to the manual. But no matter which program you use: If you use a defragmenter, boot time will go down, and your programs will respond much more quickly.